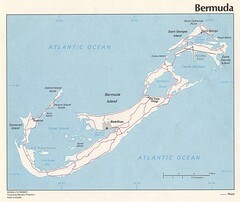 Overview map of Bermuda. 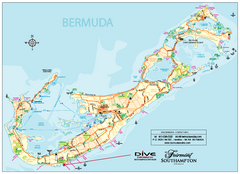 Shows sunken ship diving spots. 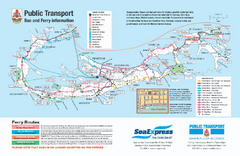 Bus and ferry map of Bermuda. 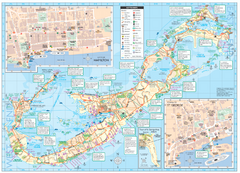 Shows ferry stops and bus routes. 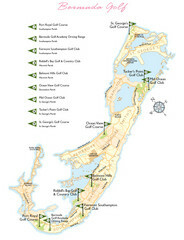 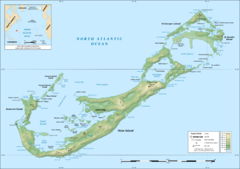 Golf map of Bermuda. 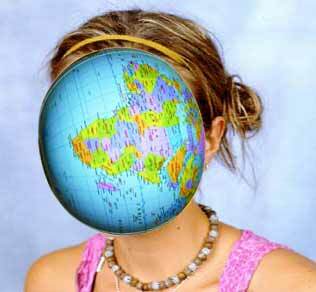 Shows 9 golf courses.